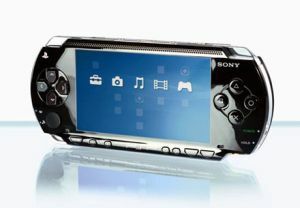 On 17th June, Tuesday, Sony has announced they will update the firmware for the PlayStation Portable. The new updates will add a Google Internet search option to the Cross Media Bar. On the PlayStation Blog, the director of PlayStation Network, Eric Lempel claimed the new playstation firmware v4.0 will be released soon, and the Google search will be added. "This new update replicates the Google Internet search experience, delivering the same search result that you'd get at www.google.com. And with a search history recall of 20 items, Web search couldn't be easier. After you download and install the firmware on yourPSP, click on the XMB's Network icon and then the new Internet Search icon. Enter your keywords and then let Google's algorithms do the work." He wrote. The Google search function will be added to XMB, and there are more other new features on the v4.0, e.g. the speed control feature. Users can speed up or slow down video while playback through the memory card PRO Duo.